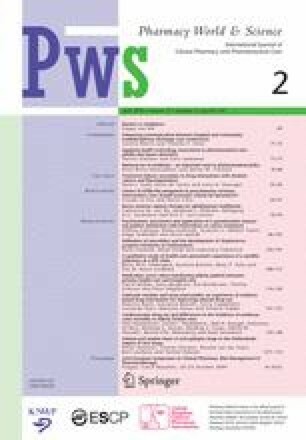 Objective: The aim of the study was to investigate how health-care personnel at a HIV clinic perceived conventional pharmacies in Sweden and whether the decentralization of pharmaceutical services to the HIV clinic had led to an improved collaboration between other health-care professionals and pharmacists. Methods: Doctors and nurses who had regular contacts with HIV patients and the satellite pharmacy were interviewed. The interviews were semi-structured, using open questions and was analysed according to the phenomenographic approach. Results: The respondents perceived the existing co-work between conventional pharmacies and other health care professionals as limited. The availability of the satellite pharmacy enabled the health care professionals to understand the pharmacys’ way of working, and to increase trust in the pharmacy staff. Collaboration was hence developed between the professions, leading to a consistent way of informing the patients about their HIV drugs, thereby avoiding contradictory information. The pharmacist also became involved in adherence promoting activities at the clinic. The perceived benefits for the patients were considered to be convenience and preservation of privacy as well as a better basis for safe and appropriate drug utilisation. Conclusion: Conventional pharmacies were shown to have several disadvantages in serving the HIV infected population. The health care professionals found the novel approach of dispensing HIV drugs at the clinic valuable. The approach led to increased communication and trust between the health care professions, and enhanced teamwork in medication management.